Several YouTube video review channels do sometimes a product teardown. When i ordered two of this Aliexpress i had no plans to do a teardown. 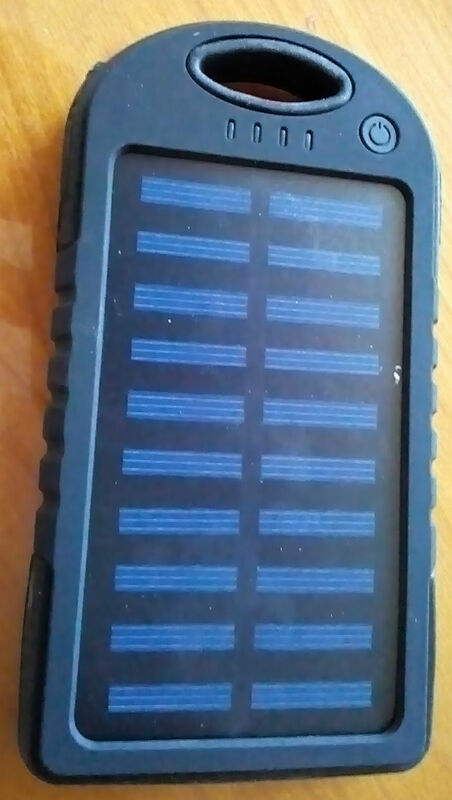 When i orderd the power banks in february 2017 the Pcs 8000 mah Portable Solar Power Bank waterproof Enternal battery power bank phone charger for Iphone HTC Lenovo Mipad did cost € 6,51 each and i wanted to test them to use them for IOT devices, perhaps outdoor. and low power. With dual USB and micro USB ports. 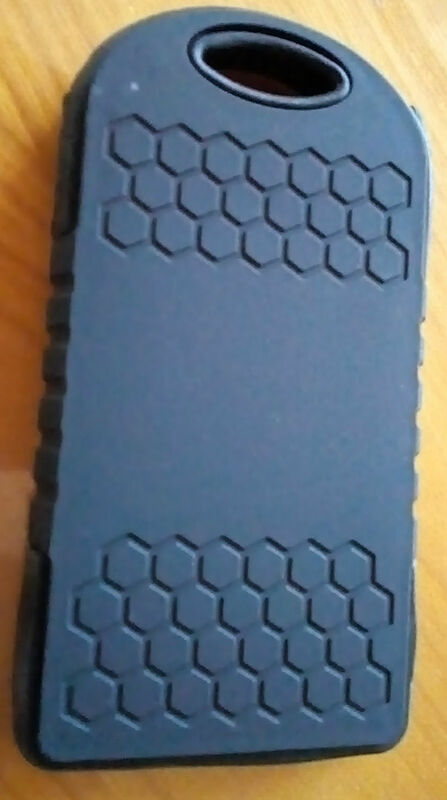 Super waterproof and dustproof, strong shockproof and drop resistance. That would be nice for an outdoor IOT application. 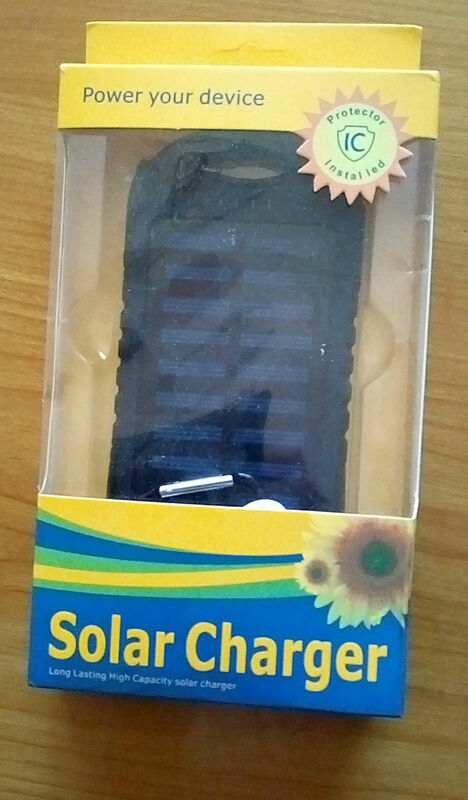 One of the solar devices was put in my car under the window. I almost did forget it and now a semi automatic teardown has happened. 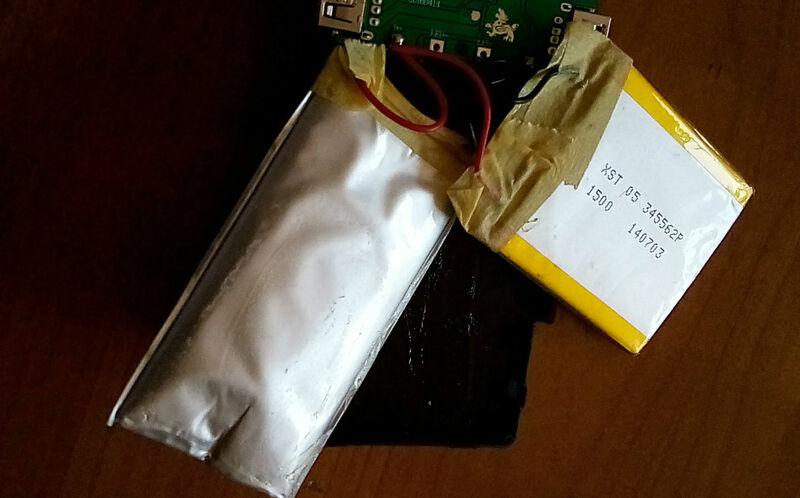 Due to the heat of the sun one the power banks has opened itself. It was warm here in the Netherlands, but not extreme hot. In a car behind the window the temperature can rise quick. 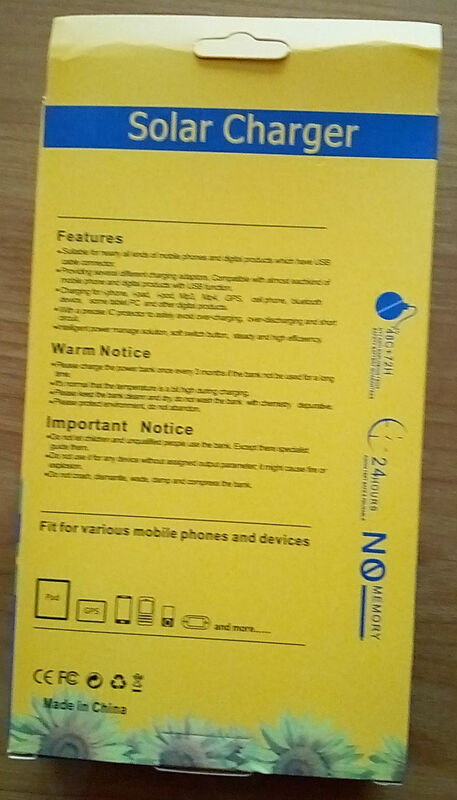 In the specs/description an operation temperature of 0-45 degrees is mentioned. 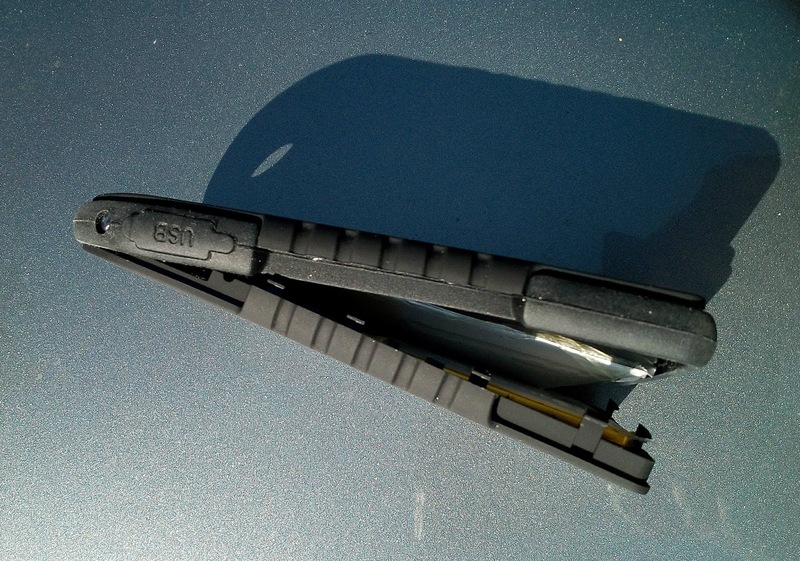 I posted this as a warning do not let the powerbank in your car behind the glass and to show pictures of the solar powerbank and the batteries after further opening it. 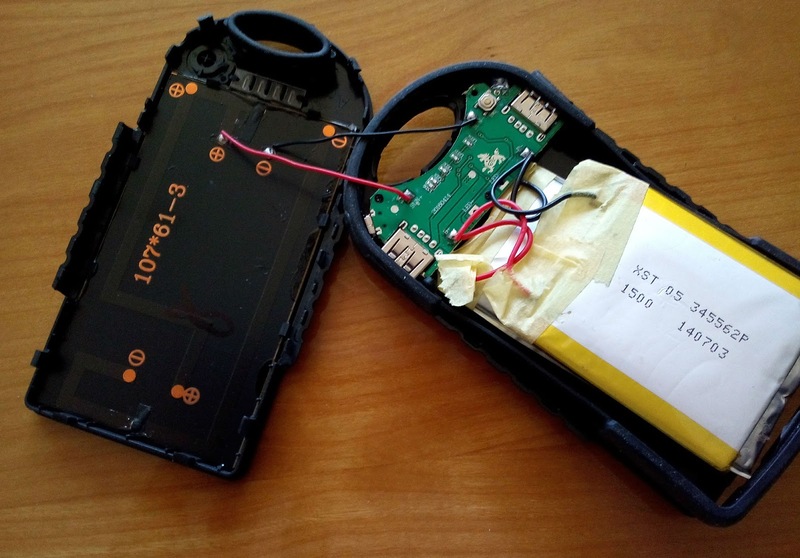 One of the batteries has changed of shape and the enclosure can not be closed anymore. I did not a complete teardown as i wanted to rescue parts and the enclose. (And perhaps build an IOT device inside it). To look inside i opened it a bit more. 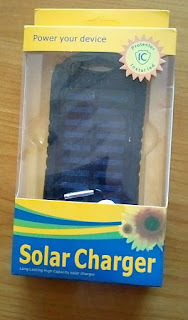 You can see the solar cell, a PCB and two (different) battery packs in parallel. 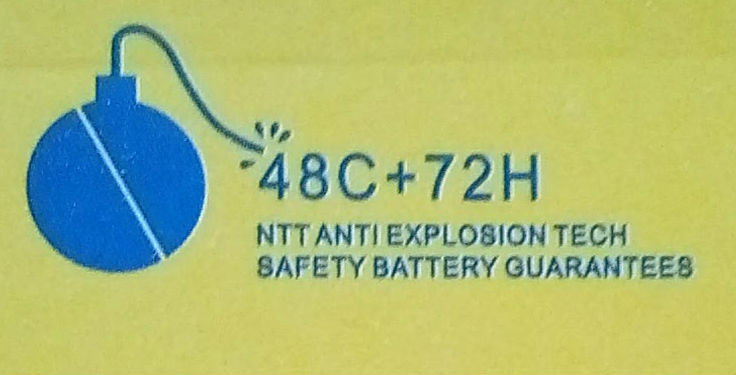 According to the specs these two packs can deliver together the 8000 mah.